After some 3,922 days in space, NASA’s MErcury Surface, Space ENvironment, GEochemistry, and Ranging (MESSENGER) spacecraft will run out of propellant and crash into the surface of Mercury, ending a successful mission to study the chemical composition, geology, and magnetic field of the planet closest to the Sun. Given that in Roman mythology Mercury was the messenger of the gods, the probe’s name is a not-too-subtle nod to the robotic surveyor’s primary target. 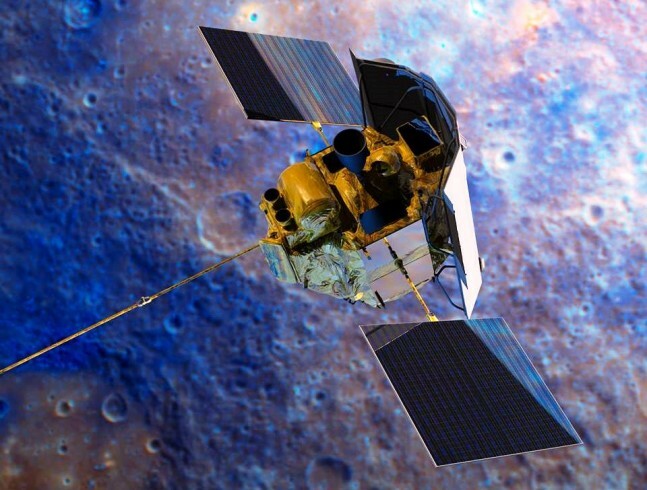 MESSENGER weighs in at around 485 kilograms (1,069 lb) and is the first NASA craft to orbit Mercury. The spacecraft was launched aboard a Delta II rocket on August 3, 2004, to study Mercury’s composition, geology, and magnetic field. 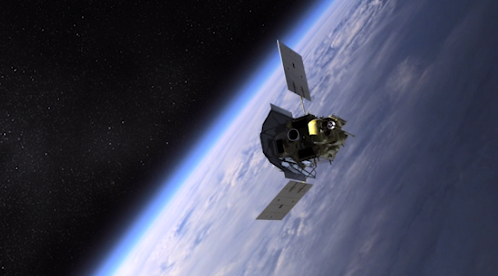 The spacecraft ran out of liquid hydrazine propellant on April 6, 2015. However, system engineers figured out how to perform a few final maneuvers using the gaseous helium originally used as a pressurizer in the tanks. That helium supply will run out on April 24, 2015. “[At that point], we will finally declare MESSENGER as out of propellant,” said Mission System Engineer Daniel O’Shaughnessy. 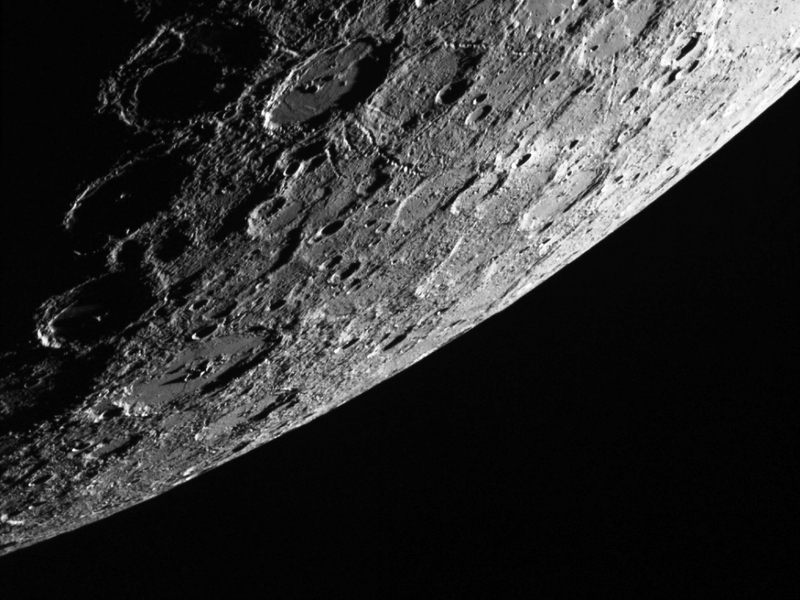 MESSENGER is expected to crash into Mercury at 19:25 UTC on April 30, 2015. 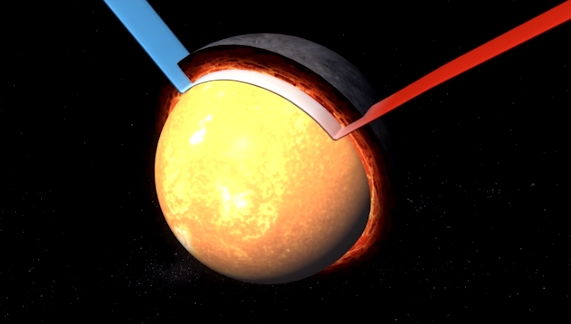 Even this last act is expected to reveal information about the surface of the rocky world. Scientists will study the crater size created when the 1,069 pound (485 kg) probe crashes into the surface at 8,700 mph (14,000 km/h), leaving a crater that scientists estimate will be about 52 feet (16 meters) across. In a briefing at NASA Headquarters held on Apr. 16, MESSENGER scientists and engineers ticked off the top science findings and technological innovations from the mission. 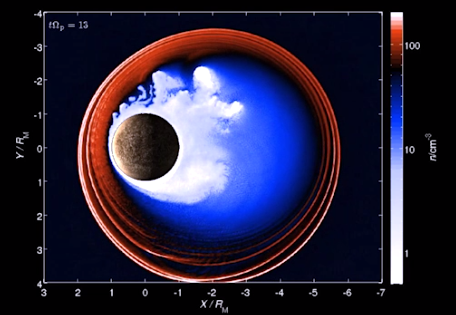 Near the top of the list of science accomplishments is having provided compelling support for the hypothesis that Mercury harbors abundant water ice and other frozen volatile materials in its permanently shadowed polar craters. The mission’s project manager Helene Winters and systems engineer Daniel O’Shaughnessy, both from the Johns Hopkins University Applied Physics Laboratory, presented the top 10 technology innovations, which included the development of MESSENGER’s first line of thermal defense – a heat-resistant and highly reflective ceramic cloth sunshade that isolates the spacecraft’s instruments and electronics from direct solar radiation. Humanity will finally “touch” the inner most planet….incredible! What an age of planetary exploration we live in! This is so interesting!!! I am a Taurus born on may 13 2003 and my main planet is Mercury!!! I was also born on Debby Ryan’s birthday and Robert Pattison and Stevie Wonder!!! Look It Up On Google!!! DARE YOU! P.S Telling the truth!!!! !